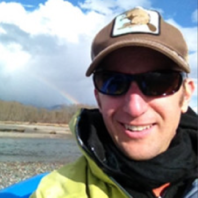 Alex Fremier is an Associate Professor in the School of the Environment at WSU Pullman. He has a BS in Environmental Science and Mathematics, an MA in Geography and a PhD in Ecology from UC Davis. His research interests include fluvial geomorphology and ecology and coupling mechanisms between the ecology and hydro-geomorphic character.